Sesenta Saludos is the perfect song to play for students as they greet one another and you take attendance. Most native speakers find a new expression, broadening their horizons beyond their heritage expressions. Challenge upper level students to try a new one each day. If you teach many levels, you might want to save this for the upper level students to have something new and challenging when they have you for the third year in a row! 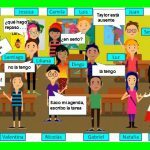 Spanish Transitions Videos provide compelling Visual Comprehensible Input (VCI) and help you to stay in the target language and better manage classroom behavior! ♥ ♥ ♥ This video is 130 seconds long and is intended to be a brief transition for students. ♥ ♥ ♥ It is sung by a professional musician and native speaker. 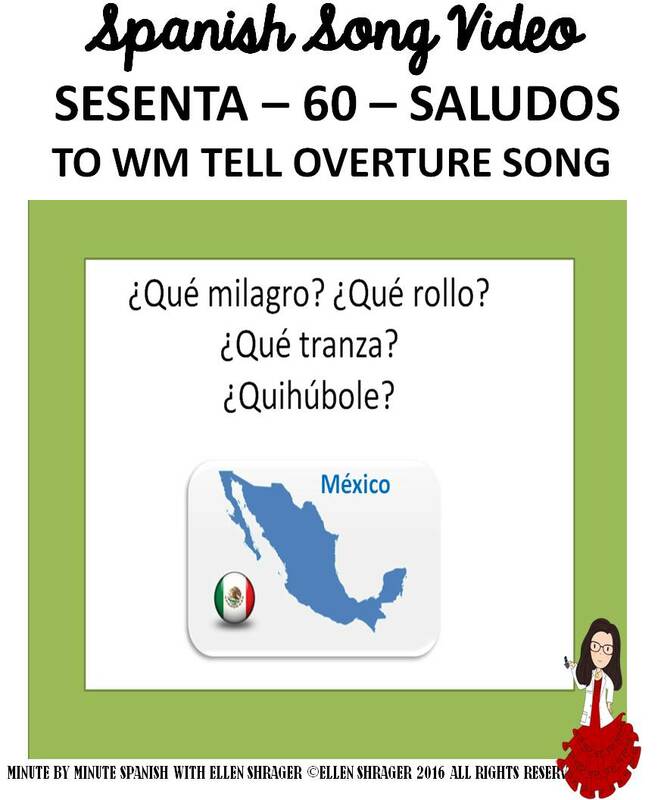 ♥ ♥ ♥ Sesenta Saludos is the perfect song to play for students as they greet one another and you take attendance as part of your daily warm-up routine. 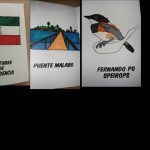 ♥ Most native speakers find a new expression, broadening their horizons beyond their heritage expressions. ♥ Challenge upper level students to try a new one each day. ♥ If you teach many levels, you might want to save this for the upper level students to have something new and challenging when they have you for the third year in a row! It comes in a WAV and MP3 – use whichever best fits your software. If teammates, co-workers or a school or a school district would like to use my resources, there is a multiple user license that is available at a reduced price. ♥ All rights reserved by author. This resource has a single user license and is to be used only by the purchaser. ♥ Permission to copy, for single classroom use only. Electronic distribution limited to single classroom use only. ♥ Not for public display on school websites, blogs or other websites. ♥ Not to be shared at teacher workshops or conventions. The exception is the clip provided below with a direct link back to the teacherspay teachers link next to it. ♥ Copyright © Ellen Shrager. This product is to be used by the purchaser only. ♥ Copying for more than one teacher, classroom, department, school, or school system is prohibited. ♥ This product may not be distributed or displayed digitally for public view. Spanish Greetings! Share the richness and variety of ways to greet one another from different countries. Please click on the My TPT drop down menu on the top right of your screen (make sure you are logged in!) and go to your My Purchases page. Look for the green thumbs up icon usually on the third line of each purchase – it’s the Provide Feedback button. Simply click it and you will be taken to a page where you can give a quick rating and leave a short comment for the product. If for any reason you feel it deserves less than four stars, please, before writing the review, contact me at minutebyminutespanish@gmail.com, or ask me to contact you using the Q & A link. I will try to fix whatever needs fixing! Look for the green star next to my store logo and click it to become a follower. Voila! 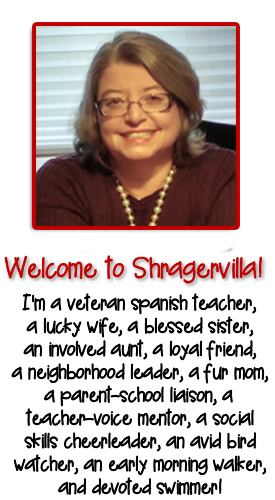 You’ll receive FREE updates for any of my resources you purchase. I’ll send you a note in your Teachers Pay Teachers inbox to let you know that I’ve updated a resource so you can download it again FREE of charge. For that reason, always check your Teachers Pay Teachers inbox. You will now receive email updates about this store.